CX-6 SMART Seeder™ during LIVE seeding demonstrations. Heard of Clean Seed Capital Group? No? You will very soon because this Canadian company has been quietly developing seeding and planting technologies that are likely to revolutionize agriculture. For the last 25 years, air seeders have dominated seeding equipment. They meter and propel seeds into the soil through an air stream, at the same time as fertilizers, and nitrogen. Pushing seeds through hundreds of feet of plastic tubes using air, enabled farmers to plant more seeds on more acres than before when box drills were the industry standard. “Air seeders are limited and challenged in how they micromanage inputs for farmers; there’s only so much you can do with air to control how and when you plant your inputs,” he said. “The main tanks containing the input products can be up to 100 feet of delivery length away from the in-ground opener, and you’re also blowing product down different lengths of lines. This means that some products can surge in the tubes but also, by the time the inputs get to the ground, there can be major inconsistencies. This delayed, inconsistent delivery isn’t ideal for variable rate applications or basic flat rate for that matter,” he said. Step in the CX6 Smart Seeder, which is hoping to solve these issues and more with its wireless, software-controlled precision seeding technology. Firstly, the Smart Seeder has a wirelessly-controlled, six-product metering system directly over every opener — where the product meets the soil, and the input is to be applied. The static central delivery system sends the seeds to pre-holding stations above each opener, and the seeder’s computer software platform SeedSync instructs the meters to release the inputs at specific times using wireless, industrial bluetooth technology. This makes the CX6 significantly more responsive than existing air seeders because the pre-holding stations are stocked and ready to go at any moment, reducing the potential for delayed, patchy delivery. But perhaps even more revolutionary than the precision planting technology is the Smart Seeder’s ability to deliver up to six products independently, and at different rates, for every foot of the field. Generally, air seeders apply generic blends of fertilizer with the seeds and don’t have the capability to switch inputs quickly or efficiently, or even manage multiple inputs, due to logistical handling limitations, further reducing yield potential, said Lempriere. “We don’t limit the capability of putting multiple products in the ground; we are really unleashing the power of agronomy by giving farmers the tool to be completely creative on what inputs they’re using in the field, instead of being limited by the equipment they’re using,” he added. “We believe placing what you need, where you need it, without compromise is key. Imagine being in a greenhouse environment, for example; you would put exactly what nutrients you need and want directly into the individual plant pot assuring the best yield results. The CX6 does this on a massive scale meaning you’re not missing the nutrients you need at any time exactly in the desired spot, as it’s applying them foot-by-foot, plant-by-plant; I like to call it the world’s largest printer,” he added. This also limits the over-application of inputs such as fertilizers, enabling farmers to save costs, but also helps them optimize their inputs for a higher return on investment, said Lempriere. SeedSync correlates agronomic mapping data to apply seed and individual product blends at variable rates and these prescriptions can be uploaded into the CX6 beforehand, although operators can also change rates on the fly if needs be. Lempriere says the seeder’s ability to read and execute prescription maps is particularly important as data analytics and variable rate prescription technology get more advanced and higher resolution. Existing equipment can’t action these maps from precision ag startups such as Farmers Edge, FarmLogs and so on; they just don’t have the delivery capabilities, argues Lempriere. “What good is detailed, high-resolution agronomic input data if you can’t execute that information and translate it into the ground,” said Lempriere. Another disruptive part of the CX6 Smart Seeder is an innovative refilling technology. Currently, when seed and inputs run out in air seeders, the machine has to stop planting, and a truck comes out into the field and spends around an hour filling it up. Clean Seed has patented an on-the-fly refilling system similar to how military aircraft are refueled in the air. Smart Carts are pre-placed on the field, and when the farmer needs a refill, they take five mins to attach the system and can then continue seeding while the Smart Cart refills the main seeder on the “fly” while continuing the seeding operation. The average refill time is 20 minutes, according to Lempriere. “We’re not just saving on downtime during the seeding operation, we’re also eliminating the need for more people and equipment in the field,” said Lempriere. Clean Seed dates back to around 2005 when Lempriere bought the assets of his father’s agricultural research and development business. Graeme invested C$3 million and expanded the business to developing the next generation of seeding and planting technologies. During the development of the company and its technologies, he connected with a farmer in the Prairies called Colin Rosengren, a third-generation farmer who had major concerns about the current air seeders in the market and had big ideas on how to change it. Clean Seed and Rosengren teamed up with other farmers from the local community and financed the development plans for the CX6 Smart Seeder among them. 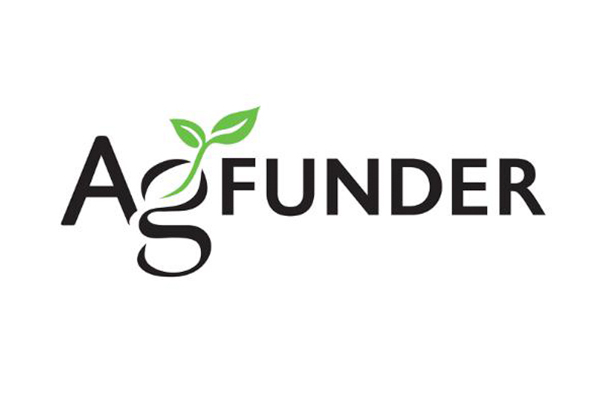 Clean Seed listed on the Toronto Venture stock exchange (CSX) as a means to raise funding from a more diversified pool of investors like Rosengren and the farming community as a whole, after having challenges in the private equity markets post 2008. Clean Seed was awarded the Toronto Venture exchange’s top 50 company performers award in both 2014 and 2015. After several years of research and development, and patent security confirmation, Clean Seed unveiled the CX6 Smart Seeder at the 2013 Farm Progress Show, Canada’s largest agricultural equipment expo where it won the People’s Choice Award. From there, it raised C$3.5 million more in funding for research and commercialization, including C$2 million from the Canadian Federal government. It also secured a manufacturing deal with WS Steel, and a distribution deal in Canada with Rocky Mountain Equipment, Canada’s largest dealer network. Rocky Mountain purchased two CX6 Smart Seeders and will embark on a prairies-wide training, education, and demonstration awareness program with Clean Seed in April. More recently, Clean Seed entered into a distribution partnership with Torgerson’s to bring the seeder to Montana and North West Dakota in the US, including a CX6 demonstration center. The announcement of this partnership coincided with a further $1 million of investment from Torgerson and new additions to the management team. The new management additions include Colin Rush as chief operating officer. Rush was an independent director at Clean Seed from 2014, and has also held roles at John Deere, Case IH, and JCB Canada. William Edward Mufford, has become chief technology officer after time at Ballard Power Systems, General Hydrogen, and Plug Power. And Michael Eyres, and Gary Anderson have both joined as advisory board members. Eyres is a respected soil systems engineer from Australia, and Anderson cofounded AG Growth International, the grain handling company, serving as CEO until it listed on the TSX with an enterprise value of $1.1 billion in 2016.